A day of contemporary audiovisual culture featuring new international collaborations, performances, discussion, installations, fashion and film screenings. 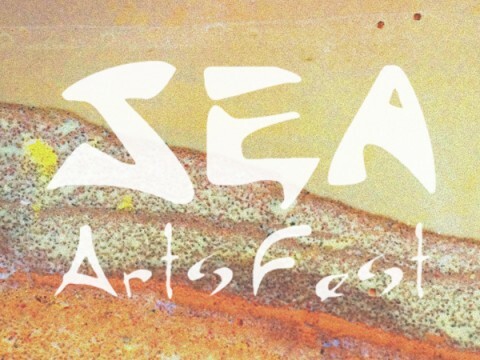 As part of a special one-day programme presented by SEA ArtsFest at Rich Mix on Saturday the 4th October 2014. Singapore and London are both rapidly growing cities where the urban landscape is constantly changing, adapting to modern needs of its generation. Using holographic 3D composite imagery ‘Transmission’ is a link between the rich histories of each city and their inhabitants, forming a marriage as a conversation to the future. How can we use and share our combined knowledge and insights to help foster this emerging network of artists? RENOVATIA is a capsule Autumn|Winter 2014 collection by Riyan Haffys presented as a moving, immersive exhibition amongst the audience with the garments modelled by dancers. With Walkabout Projection by Shaun Prickimage. – Sharliza Jelita (Singapore): A talented singer-songwriter accompanied by newly-commissioned visuals from the VJ London network. – Orbital Cinema: Networked live cinema performance by Teow Yue Han in collaboration with Urich Lau Wai Yuen in Singapore. 3pm-6pm: Free entry, no booking required.